Workers take apart a pump at Chubu Electric Power’s Hamaoka nuclear plant. TOKYO — Five nuclear reactors in Japan were approved for decommissioning on Wednesday, pushing utilities and other companies to join hands to tackle both the great business opportunities and daunting technical problems involved with the process. Two reactors at Kansai Electric Power‘s Mihama plant, as well as one each at Japan Atomic Power’s Tsuruga plant, Chugoku Electric Power‘s Shimane plant and Kyushu Electric Power‘s Genkai facility received the green light from Japan’s Nuclear Regulation Authority. The safety updates needed to keep them running beyond their mandated 40-year life span were deemed too costly. Tokyo Electric Power Co. President Naomi Hirose, left, hands a report to Niigata Governor Ryuichi Yoneyama at the prefectural government office in Niigata on April 19. NIIGATA–Niigata Governor Ryuichi Yoneyama said a longer period may be needed to verify safety at the Kashiwazaki-Kariwa nuclear power plant, destroying Tokyo Electric Power Co.’s schedule to restart reactors there. Yoneyama announced the possible extension of the safety-confirmation period, which he had earlier put at three or four years, at a news conference on April 19 after his meeting with TEPCO President Naomi Hirose here. The governor said it will take time to confirm that the nuclear plant can withstand major earthquakes, especially a building that is expected to serve as the headquarters in the event of a severe accident at the site. Only after safety is confirmed can discussions begin on restarting the nuclear plant in the prefecture, Yoneyama said. US Vice President in Australia, – to make sure that we toe the USA line? U.S. Vice-President Mike Pence Is En Route To Australia Malcolm Turnbull says the visit shows the United States’ commitment to Australia is ‘very real’. Huffington Post 21/04/2017 As tensions threaten to boil over between the United States and North Korea, U.S. Vice-President Mike Pence is en route to Australia in a visit expected to focus on regional security and trade. Arriving in Sydney on Friday night, Pence will spend two days in Sydney as one of the final legs in his whirlwind tour of Asia which began last Saturday. Amid concerns that Trump plans to withdraw focus from the region, the visit is designed to both reassure the United States’ foreign partners and gauge the mood within Asia towards the most unconventional administration in America’s history…….. The growing tensions on the Korean peninsula, America-China relations and the remaining trade barriers between Australia and the world power are expected to feature prominently in talks between Pence and Australian political figures. Pence’s visit to Australia so early on in Trump’s Presidency was evidence of our importance as an international ally to the US, Malcom Turnbull told ABC’s 7:30 on Thursday night. Why non-scientists need to join the March for Science, Brisbane Times, Jocelyn Prasad, 20 Apr 17, I’ll be among the many non-scientists participating in the inaugural March for Science, which is taking place worldwide on Saturday. None of us is untouched by science. We owe much of our prosperity to scientific progress. And many of the greatest issues facing humanity require us to get behind evidence-based research……. March for Science Australia aims to improve scientific literacy and promote open communication of science. We believe a well-informed society is more prosperous and successful. It is less likely to be led astray by the misinformation often propagated by social media. And it prevents the likes of the anti-vaccination movement from building an ideological stronghold. In a time of political uncertainty where fake news has become part of everyday life, scientists participating in the march know they need to shed their lab coats and spend time explaining their work to non-scientists. They know that being able to explain research in simple terms doesn’t diminish its value. On the contrary, clear communication widens support for it. 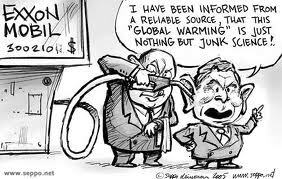 All politicians must pay more heed to scientific evidence when formulating policy. This is not a climate change march but it’s impossible to ignore the blatant disregard by politicians of available, peer-reviewed research on environmental issues. A willingness to back new coal mines, thinly veiled disdain for renewable energy and abandonment of the Climate Council are just a few recent measures showing how the government has turned a blind eye to science. And while we might think censorship of scientific information is not our problem, it’s worth remembering the Australian government last year asked the United Nations to remove references to the Great Barrier Reef from its report on climate change’s impact on global heritage sites. We are also calling for stable investment in public research. It’s time for politicians to stop taking a myopic economic view, to look beyond the electoral cycle and to consider the country’s long-term wellbeing. Robust research that seeks to solve complex problems requires stable funding. But funding in the science sector can vary from year to year, often leaving worthwhile scientific pursuits to wither. We know the government’s coffers aren’t bottomless. It’s another reason for scientists to become better communicators – when they explain their work to taxpayers, they broaden support for publicly funded research. Most of us aren’t professional scientists but we’ve all done science. Whether we’re teaching kids to catch a ball, figuring out how to improve this year’s tomatoes in our veggie patches or discovering new planets in our spare time, we’re embracing scientific principles. Paul Waldon, Fight To Stop Nuclear Waste Dump In Flinders Ranges SA, 20 Apr 17 A used car salesman made mayor of Carlsbad New Mexico was the person that instigated the promotion of nuclear waste abandonment at the site now known as the WIPP with Betty Richards the only person to decry it. About 40 miles away a few council members took it upon themselves to offer and promoted their town of Andrews to be a nuclear waste dump with the unwilling towns people very shocked and upset when they were finally told. 50,000+ member strong united workers union fought to stop the build of the nuclear power plant Fermi 1 and lost their case even with the support of Edward Teller a Theoretical Physicist who claimed that it was a bad design reactor, only to have a partial meltdown shortly after construction. These are just a few incidents where the the minority has over ruled the majority and the consequences to the environment and the economy could still cost the taxpayers of today and into the future many billions of dollars more. “We’ve been dying on this soil for many hundreds of years now, since the whiteman came and we’ve been doing that in defense of our land. They’ve had the superior force and mightier weapons, but they’ve never been able to conquer us. They’ve been able to imprison us, jail us and all that sort of stuff but we’ve never acquiesced, never ceded our sovereignty and we are in defense of our land every day of the week. This is a hidden war. It’s a war of stealth and, unfortunately, when we want to remind people of this, then people take offence and call it a protest. This is just being totally respectful of the fact that we, our people, have got a message to relay and Australia cannot keep hiding it – like at Hospital Creek nine kilometres north of Brewarrina. We want to excise that land there because the human bones are still visible and that’s my ancestry. They were shot at this place. We had here people who survived this massacre, but that was a private army. They were made up of all the cockies and pastoralists. We need to remind people of this – and you go to Germany where mass murders occurred in Germany. You go to Serbia now, where they buried people in mass graves, where they massacred them. They’ve now created a situation there where these things are memorial parks now to the dead who were killed there. March for science? After decades of climate attacks, it’s high time, https://theconversation.com/march-for-science-after-decades-of-climate-attacks-its-high-time-76041 The Conversation, Marc Hudson, PhD Candidate, Sustainable Consumption Institute, University of Manchester, April 20, 2017. This Saturday, the March for Science will be held in cities around the world – coincidentally enough, ten years to the day since John Howard urged Australians to pray for rain. While such marches are not the answer to everything, their very existence tells us that science is under attack, not merely from defunding of research bodies, but also via attacks on the inconvenient truths of climate science. Queensland wants “huge renewables hub” built near major coal port, REneweconomy, By Sophie Vorrath on 20 April 2017 The Queensland government has earmarked one of the state’s major coal centres as a future renewable energy hub, calling for expressions of interest to develop up to 450MW of large-scale solar, wind or biofuels on a 1,248 hectare patch near Gladstone. In a document published on Thursday, Economic Development Queensland (EDQ) said it was seeking to enter into an agreement with an organisation or consortia that “will act quickly” to develop a large scale solar farm or other renewable energy facility on government-owned land at Aldoga, within the Gladstone State Development area. Gladstone – which is home to a 1,680MW coal-fired power station, the state’s largest electricity generator – is also known for its shipping port, which is largely used to export Australian coal and, more recently, LNG. The Trump Administration Is Apparently Terrified of Actually Making a Decision About Paris Sad!, Mother Jones, OLIVER MILMAN, APR. 19, 2017 This story was originally published by the Guardian and is reproduced here as part of the Climate Desk collaboration. Donald Trump is making so many mistakes. Does he have a frontal lobe brain deficit? Brain specialist doctor believes Donald Trump’s frontal lobe is failing http://www.palmerreport.com/politics/brain-specialist-doctor-believes-donald-trumps-frontal-lobe-is-failing/2354/ By Bill Palmer Apr 19, 2017 Over the past week Donald Trump has begun making so many basic confused errors that it’s become a matter of serious concern to a number of Americans. He’s forgetting names. He’s forgetting people. He’s forgetting what to do during the National Anthem. He’s forgetting that a kid just handed him a hat. He’s forgetting which country he just bombed. And now a brain specialist doctor says she believes it’s evidence that Trump’s frontal lobe is failing. Brenda J. Iannucci, M.D., is a Cognitive Function Specialist based in upstate New York. She’s been attempting to diagnose Donald Trump’s health from afar, which seems warranted in light of Trump’s refusal to release his medical records during and since the election. Dr. Iannucci summed up Trump’s worsening lack of recall in the following fashion: “Cognitive failure in Trump: naming functions located frontotemporal regions of brain. Recall and reasoning fail concurrently” (link). The circumstantial evidence to support her assertion is growing by the day. Over the weekend Donald Trump humiliated himself by not remembering to put his hand over his heart during the Easter Egg Roll, and then taking a kid’s hat from him and autographing it before randomly flinging it into the crowd – seemingly forgetting that the kid had just handed it to him. Then he went on Fox News and unwittingly revealed he didn’t remember that Kim Jong-Il gave way to Kim Jong-Un in North Korea six years ago. Then he began repeatedly referring to his close ally Paul Ryan as “Ron” during a Tuesday rally in Ryan’s home state. And this came after Trump bombed Syria and then immediately announced that he had bombed Iraq instead. So when Dr. Brenda Iannucci states her professional assessment that Donald Trump’s frontal lobe appears to be failing, even someone who’s not a medical professional can see where she’s coming from. Construction underway on Victoria’s 132MW Mt Gellibrand wind farm http://reneweconomy.com.au/construction-underway-on-victorias-132mw-mt-gellibrand-wind-farm-88672/ By Sophie Vorrath on 19 April 2017 Acciona Energy has broken ground on its 132MW Mt Gellibrand wind farm, a $258 million project in Victoria’s western plains that was fast-tracked after winning a state government tender designed to reboot renewables investment in the state, and side-step a capital strike by major utilities. At a turning of the sod ceremony at the wind farm’s site, 25km east of Colac, Acciona managing director Andrew Thomson said the company expected to see Mt Gellibrand “pouring” clean energy into the grid within about 15 months – at a time when the nation would be seeking to increase its capacity for renewable power generation. Thomson said the new wind farm would be a “massive economic driver” for the region over the next 25 years, creating 100 local jobs in the construction phase, and up to 10 operations and maintenance roles continuing for decades ahead. Queensland company lodges plan to build Australia’s biggest solar farm near Gympie, ABC News, By Bruce Atkinson, 19 Apr 17, A company proposing to build Australia’s largest solar farm near Gympie says the $2 billion facility will eventually supply about 15 per cent of south-east Queensland’s power needs. Queensland company Solar Q has lodged a development application with the Gympie Council to build a solar farm and battery storage facility 30 kilometres north-west of the city. The project will be built in stages, with initial approval being sought for a 350-megawatt facility, but within four years it is proposed to increase this to 800 megawatts or enough electricity to power about 315,000 homes. Managing director Scott Armstrong said the finished facility would be the biggest in Australia but “the way the market is going is that there will be bigger projects that will come on”…….. When completed, around 3 million solar panels will provide power to the network on the 17-square-kilometre site. During peak consumption at night, the battery storage facility, which is powered by the grid, will ease the load on power stations…….. The proponents are not expecting any hurdles to approval from the Gympie Council or State Government agencies, Mr Armstrong said. “Solar and battery storages are a static generation facility so it will produce minimal noise, it doesn’t emit, it doesn’t have particulates from chimney stacks, it doesn’t have ash dams, so we are not expecting any impediments with regards to getting approvals,” he said. Once the approvals are in place Mr Armstrong expects the connection agreement with the transmission company will be finalised. Ararat Wind Farm fully commissioned, supplying power to Victoria and ACT http://reneweconomy.com.au/ararat-wind-farm-fully-commissioned-supplying-power-to-victoria-and-act-51770/ By Sophie Vorrath on 19 April 2017 The recently completed 240MW Ararat Wind Farm in south-western Victoria is now operating at full capacity, feeding enough renewable energy into the grid to power 120,000 homes, 37,000 of them in Canberra. The wind farm, which is operated and managed by Canberra-based company Windlab, was fully commissioned on Wednesday this week, after several years in the works. It first began sending power to the grid in Victoria in August 2016. This graph below, from the Energy and Climate College, shows how it has expanded production. The project gained significance as the first wind farm to be contracted after the reinstatement of a bipartisan federal renewable energy target – that is, after the Coalition and Labor agreed to cut the RET to 33,000GWh from 41,000GWh). In Ararat’s case, the go-ahead was buoyed by the signing of a power purchase agreement with the ACT government, which guaranteed the purchase of approximately 40 per cent of its annual output – a contract it is now delivering on. “The ACT’s agreement with the Ararat Wind Farm provided certainty for investors and enabled construction to commence in late 2015,” ACT climate minister Shane Rattenbury said on Wednesday. Rattenbury – whose predecessor, Simon Corbell, is widely regarded as the mastermind of the nation-leading renewables policy – said that the Capital was showing the federal government how to deliver on clean energy. “If the generators make more money than the set price for the electricity they sell into the national electricity market, they pay the difference back to the ACT,” Rattenbury said. Ararat Mayor, Paul Hooper, described the wind farm as a “really significant” project for the city, bringing $450 million of investment, 350 jobs at its construction peak, and more than $40 million into the local economy during construction, which lasted about 18 months. “It was completed on time and to a very high standard,” Hooper said, adding that project developer RES Australia had been “…very, very good corporate citizens” throughout the development.